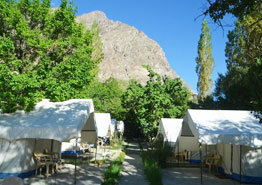 A wonderful bouquet of riverside camps, Bikamp offers a stunning taste of nomadic life with unique experiences of excitement and rejuvenation. 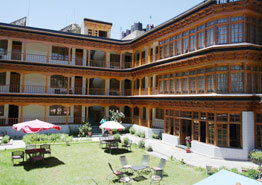 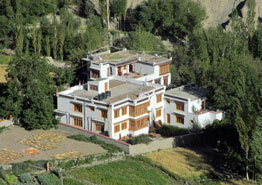 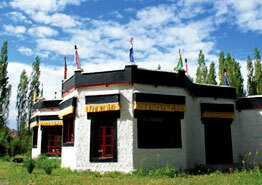 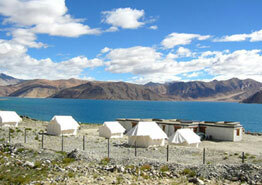 The site location is such that it offers the incredible 360 degree view of the majestic Zanskar Mountain Range. 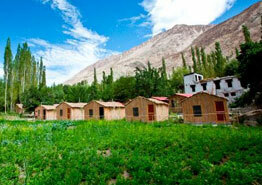 Furnished with all the modern and necessary amenities, the camps are ideal for lazing and spending quality vacation time. 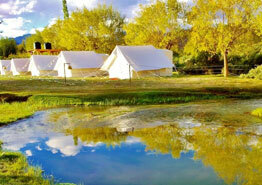 With quick and dedicated staff at your service, the experience at Bikamp will be your most memorable camping affair. 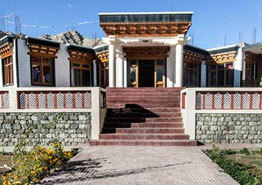 The accommodation is designed with the aim of providing a home away from home. 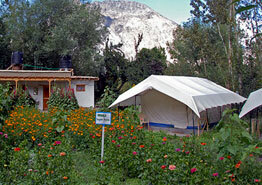 The camps are canvas Alpine tents on a twin sharing basis with an attached bath and toilet. 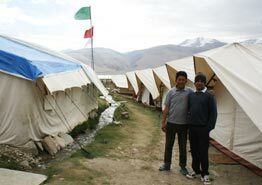 Comfortable beds with clean and hygienic quilts, linen, pillows are provided to furnish best of camp experiences under the stars. 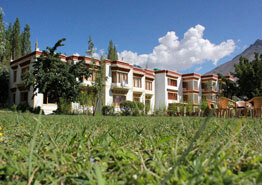 Bikamp offer great dining experience for its esteemed guests. 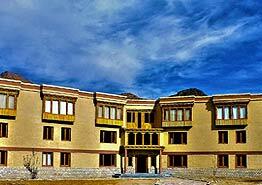 In addition to the collective dining, the camp also arranges for private dining at the banks of the River Indus or inside a local Ladakhi home. 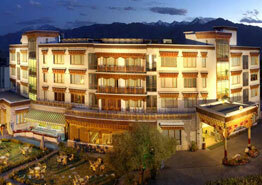 The food severed is an absolute delight range across wide array of flavors and dishes. 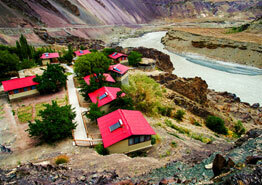 Taxi/River Rafting trips/Bike Rentals available.